Family portraits (sadly static as they are muggle shots!) of the main families for the forthcoming Harry Potter and the Cursed Child. 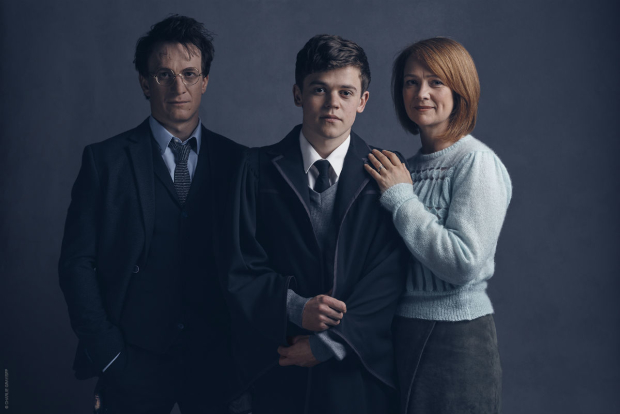 Here’s Harry’s family – Jamie Parker as Harry Potter himself, Sam Clemmett as their son Albus Potter and Poppy Miller as Ginny Potter (nee Weasley). 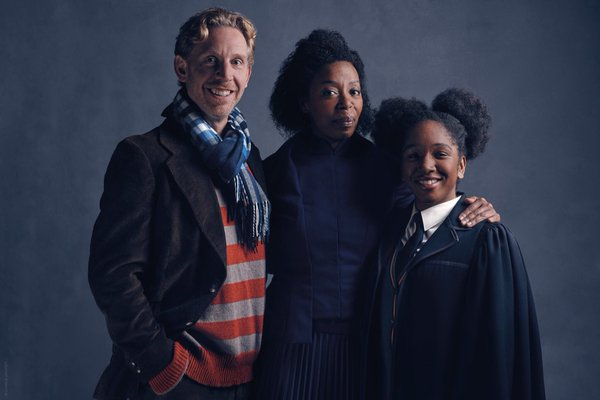 And Ron’s family – Paul Thornley as Ron Weasley, Noma Dumezweni as Hermione Granger and their daughter Cherrelle Skeete as Rose Granger-Weasley.